I'm so pleased to talk about this wonderful book today. 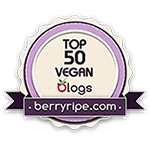 It is derived from a great place -- The Stanford Inn -- an all-vegan eco-resort located in Mendocino, CA. I haven't had the pleasure of staying at the inn or dining at its all-vegan restaurant, The Ravens, but after looking through this cookbook, I really want to make both of those events a priority the next time I'm in northern California. This cookbook is lovely. I've really enjoyed flipping through it. There's a forward by Colleen Patrick-Goudreau, color pictures are included next to nearly every recipe, and each photographed dish is artfully and elegantly presented so that you can sense just how classy the restaurant itself is. It is obvious that the authors put a lot of time and effort into creating the recipes and writing the cookbook. However, there are only so many hours in a day, so I will be sharing with you just one delicious recipe from the book, for Potato Leek Soup with Drunken Leeks. Leeks are in season right now, and potatoes and vegetable broth are both likely foods you have on hand already, so this should be a fairly easy soup to pull together for dinner. I hope you enjoy it just as much as I did! This is one of The Ravens’ very popular soups. 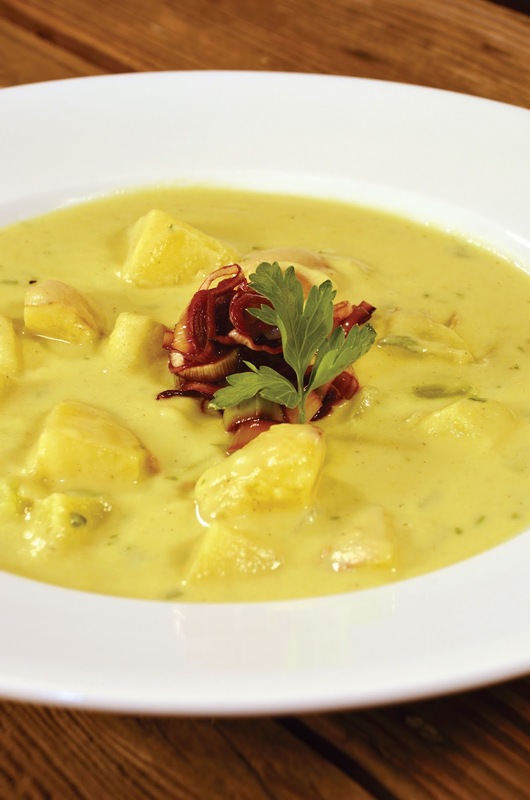 When it’s on the menu at night, the next day there’s none left for the staff “family meal.” In the days of root cellars, potato leek soups were commonly served in winter. We serve this soup year-round. This sour crème can be used as a base dressing in potato salad or coleslaw. For those of us who like Thousand Island dressing over a wedge of head lettuce, re-create it by adding a small amount of ketchup and drained pickle relish to this recipe. Combine all ingredients in a high-speed blender and puree until smooth. Season with additional salt or lemon juice to desired taste. 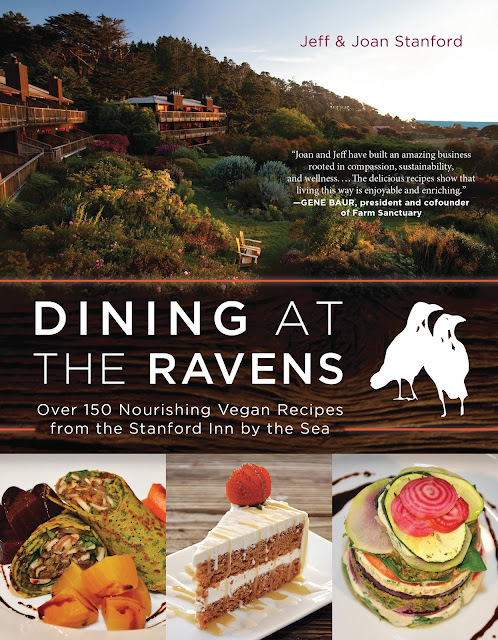 BenBella books and the authors of Dining at the Ravens, Jeff and Joan Stanford, have generously offered me a chance to give a lucky reader one copy of this fantastic cookbook! Please enter the giveaway below. It will run from midnight of 2/11 to midnight of 2/16.